A Message from the Mutts: Please be aware that this file, much like our brain matter, is in a state of continual transition. If you don't find what you're looking for on the current page, click on the link at the bottom of the page and use your "FIND" feature to locate the surname or individual about which/whom you're seeking information. Happy Hunting! THOMAS GARDNER according to one source, was born ca.1768 in North Carolina. However, the local historian, Cleveland Gardner, insists that "Thomas Garner belonged to a family of 21 children...and came to America sometime before the Revolutionary War. He and Olive Martin settled in what is now No. 9 twp. on the East side of First Broad River." Wherever...among his papers are documents signed Thomas Garneur. (Now, Garneur sounds French, no matter how hard the Princess, who does not wish to be French, tries to worm out of it.) It's possible our Gardner-Garner ancestors were either Huguenots who migrated to Scotland from France or Jacobites who migrated to France from Scotland. (The latter pleases the Princess who does wish to be Scottish; in fact, insists that we be regardless of any documentation that might prove otherwise!) The truth is we don't yet know the Gardner point of origin, and are open to any and all suggestions, theories and/or weighty preponderances. We do know that Thomas owned a lot of property in North Carolina which included "Gardener's Ford", a crossing for the stage coach from Rutherford. The route ran through what is now Lawndale and Fallston all the way to Lincolnton. He and Olivia raised a dozen children, and from what we can determine, all were outstanding citizens. (That's very boring, we know, but we do have some cads and creeps further down the line.) A few of their children later moved to Georgia with other families from the area. Olive Martin Gardner was a midwife and a monied midwife to boot. She and her husband, Thomas, owned land from the Broad River at Lawndale, North Carolina, down to what is now Fallston. At her death, she left all of this land to Elizabeth and Rebecca, and when Rebecca died, Elizabeth took over. ELIZABETH (BETTY) GARDNER never married. She and her sister Rebecca lived on the old Gardner homestead all of their lives. We know little about Rebecca, but Elizabeth was a very outstanding character. There are notes about her that describe her as a beautiful, striking woman, (typical Gardner) who entertained a good deal, and like her brother, James, loved to debate. Knowing the Gardner family, as only a Gardner does, she undoubtedly took the opposing view just for the heck of it. When Rufus Gardner became engaged to Sarah Elam, Elizabeth became enraged. We're not sure why because she's not here to tell us. But we suspect that having raised Rufus, she considered him HER child. As such, it is believed she intended to leave him all her property/worldy belongings to include the family farm that adjoined Colonel Grigg's plantation and of course, Flora! Her displeasure with her nephew, however, prompted her to make a few minor changes in her will and all of her land was left instead to her ex-slaves and their families. (It did not do to cross Aunt Elizabeth!) And it's Flora's descendants that now live in neat little brick homes throughout much of the area. JAMES LAFAYETTE GARDNER, born 1816 in Rutherford County, NC, was 5'9 1/2" tall with fair skin, blue eyes, and black hair. 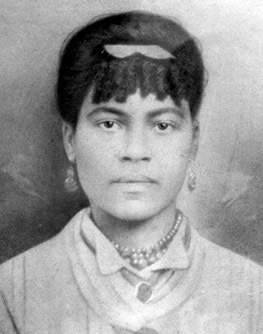 James married first Elvirah Cornwell. There was trouble between James and the Cornwell family, but alas (!) we've yet to discover the juicy details. Elvirah died in 1854, two years after the birth of their daughter, Katherine. Rufus was sent to live with his Aunt Betty, and Katharine was raised by her aunt, Carrie Gardner Grigg. Elvirah is buried behind the old Frank Cornwell place in a family cemetery which we're told is no longer accessible. James was a teacher as well as a farmer, and it is probably in the teaching environment where he met his second wife, Anna Lovelace, also a teacher. James was also famous as a debater, lending credence to the supposition that all Gardners were, (and still are), mouthy! On March 18, 1862, at the age of 45, James Gardner joined the Confederate Army. According to the Cobb Family History by R. Henderson, "Before the Civil War, the citizens of North Carolina were reluctant to leave the Union, but enthusiastically supported the cause after President Lincoln called for 75,000 troops to put down the Southern rebellion. In 1861, Cleveland County raised a company of volunteers known as the Cleveland Blues. The county would have provided a second company but there were not enough weapons available. James served with the second company of men raised in Cleveland County, many of whom were from White Plains. They were company G, 49th Regiment and known as the Kings Mountain Tigers. Private James Lafayette Gardner...fought at King's Schoolhouse and Malvern Hill where he was wounded on July 1, 1862." He died shortly thereafter at the Peace Institute Hospital in Raleigh. Three of his sons, --Rufus, Duffy and Amos Kendall-- also enlisted. The DUFUS Brothers survived the war relatively unscathed. Unfortunately, Amos Kendall did not. He, too fought at the battle at Malvern Hill and died in Richmond, Virginia, 8 Jul 1862. It was not a good year for the Gardner's of Cleveland County. THOMAS T. BARNES, The elusive Thomas T. was a farmer and millwright by trade. He married twice and sired six children (that we know of). According to the 1870 NC Census, Thomas was born in South Carolina, as were his parents, and at an age yet to be determined, moved to North Carolina, settling in McDowell and Rutherford Counties. Thomas died one fine spring day --quite by accident and his own hand. Before, during, or upon impact with Ground Zero, he inadvertantly shot himself in a fall from his wagon. An 1880 Rutherford County NC Mortality Schedule cites the cause of death as "accidental suicide," which occurred --(are you ready for this!?!) --on April Fool's Day in the Year of Our Lord Eighteen Hundred Eighty. As justice of the Peace he was called upon to draft many wills, deeds, mortgages, and other legal instruments. He was a leader in the community and his church and took an active interest in all matters afecting the betterment and welfare of his community and county. Rufus was instrumental in helping to establish the Pleasant Grove Baptist Church still situated near his home on what is Highway 18, near Fallston. He was Church Clerk for 45 years, and delighted in scolding the church for spending too much money on unnecessary things. Rufus was 23 when he joined the forces against the government, and soon after enlistment was made a Sergeant. He went home without leave, however, when his wife had a miscarriage. He was cited for being AWOL and immediately demoted to private. However, he later received a Field promotion to Captain. Years later, he would reminisce about sitting on the steps of the capitol building at Richmond in his bare feet. It was Christmas day and it was snowing. He said if his troops needed water and they were on one side of the stream with the Yanks on the other, they'd holler "Coming for water!" and the Yanks would hold their fire. They also sang songs together, north and south. He was with Lee at the surrender and spoke of Grant as a real gentleman. When Lee relinquished his sword, Grant returned it to him. They broke off a branch from a peach tree as a souvenir and the family kept that branch for years. Rufus also talked to himself a lot, (a prevailing family trait). When asked "why", his answer was typical Gardner: "Because I am the only intelligent person I can find to converse with." When asked by a cousin why he was so swarthy, he replied "I'm Italian." (He wasn't.) He told his grandson, Dewey, there was no Santa Claus. "It's just your mammy and pappy." Upon hearing this, Dewey ran all the way home bawling. When asked by his daughter, Marilynn, how old he was at the time he received this devastating news, Dewey replied, "Oh, about 17." On occasion, Duffy would visit his brother. This didn't happen very often, Gastonia being over 20 miles away. But the cousins insisted you couldn't tell one brother from the other. "If you saw Rufus, you saw Duffy." 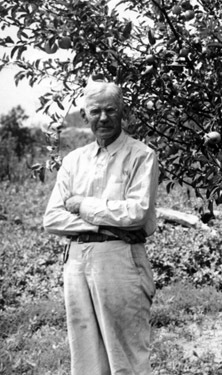 P.M. Gardner, 1908, A Native of N.C. Being in Greenville S.C. in 1861 when the call for troops was mad i volunterd in the 1st S.C. Artilery and went to Charleston and then James island, and Belonged to Co. C, 1st S.C. Artillery Cap James Co and on the 12th of April 61 we fired the 1st Shot fired at fort Sumpter and captured it afer 36 hours continwal fireng without any Loss on the Confederate Side. MARY ELLEN BARNES GARDNER w/o Duffy Gardner was the daughter of Thomas T. and Sarah Bobbitt Barnes. It is suspected that Sarah died either in childbirth or shortly after the birth of her third child, Mary Ellen. An 1870 McDowell County NC census cites a Mary J. 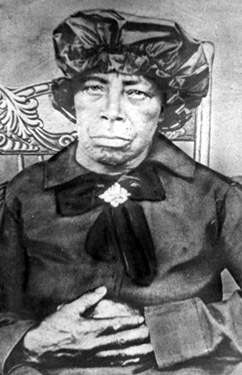 Unknown as Thomas' wife. Since Mary Ellen's marriage to P. McDuffy Gardner took place in 1869, she doesn't appear on this census with her three younger siblings, --Sarah A, Robert H. and James Logan Barnes. Mary Ellen preceded her husband in death by ten years and is buried next to him in Oakwood Cemetery, Gastonia North Carolina. COSMOS PHILOTUS GARDNER. (How would you like to be saddled with a name like that?) Alas, his grandfather, Dr.Anderson Elam, delivered him, and thus claimed the right to name him. Since Anderson was a lover of the classics he got real flowery (pun intended) at times. Cosmos was raised in what was the Beam's Mills area of the vicinity of Fallston, north of Shelby. The house he was born in (no longer in Gardner hands), is still standing and has been remodeled into a more modern home. His family called him "Lotie." Dewey called him C.P. and in later life he changed his name to Charles Payson until his granddaughter, Marilynn, gave birth to her son, Patrick, and then he he took to calling himself Charles Patrick when he wasn't calling himself Charles Payson. He was quite a lady's man, with the tall slim figure, the black hair and blue eyes so common to the Gardner family. 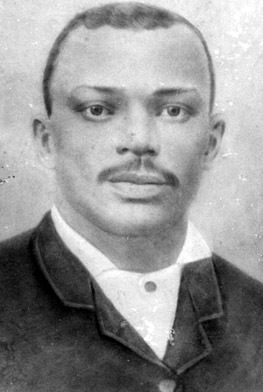 When he began to court Willie Shuford, her brothers objected to the point where the couple eloped. They then lived with, and later near, Rufus Gardner. Willie Shuford was a very, very beautiful, talented petite woman who sewed like a tailor, dressing in the latest fashions and wearing make-up when it was frowned upon by most LADIES. C.P. became a music teacher, teaching singing all over the Cleveland area and even spending time teaching in Cuba. He attended what was the conservatory of music in Cincinnati, Ohio. He wrote songs and had them published. He also put on what was then a popular type of show, a minstrel show. Relatives say he was born years before his time. He was a born entertainer and could have been another Bob Hope. He was utterly charming, loudly opinionated (as are most Gardners), and also lived up to his surname--he was a true Gardener and grew beautiful gardens with fruit trees and flowers. If he didn't know how to do something, he got a book at the library and learned how. That is how he put in a striking sunken garden for some people in Gloversville New York. He also built a Japanese type bridge over a little stream on his property in Shelby. He dressed like a dandy, with white suits and shoes and always wore a white straw hat in the summer. His granddaughter[Marilynn] remembers him well because in 1921, after both of their children married, Lotie and Willie split up. She lived with her daughter, Vivienne, sometimes, and C.P. lived with his granddaughter's family... sometimes. I loved him because he played all kinds of games with me, made shadow pictures on the wall, took me fishing and taught me how to chew tobacco. My tobacco was the heart of a cabbage which I carried in my pocket. When Grandpa took a chew, I took a chew of cabbage. (No, I never pursued the habit.) I remember a time when I was having trouble learning how to print the letter "c". I turned it into "u". I wasn't yet in school as I was but 4 years old, but my mother said I couldn't go to the fair until I made a whole page of "c's". Grandpa made them for me and I got to go to the fair! In 1935 Grandpa remarried, this time a music teacher,Gertrude Street, in Shelby. Evidence of a divorce was never found so it seems likely that Grandpa circumvented the law a bit here. He died in 1955. He suffered a series of strokes and had to be sent to the mental hospital in Morganton where his cousin, Nell Gardner, spent all of her adult life. Grandpa, you were something else. Making me sing "Away in a Manger" at the age of 5, all alone in front of the whole First Baptist Church in Florida. I was scared to death until you pulled up a chair and held me on your lap while I sang. I'll never forget the security I felt, just having your arms around me. You told me to be proud I was a Gardner because being a Gardner was special. You were right Grandpa, we ARE special.